Fei Zhou, when translated from the chinese characters means "Flying Porridge" and the way it is pronounced, rhymes with Africa. 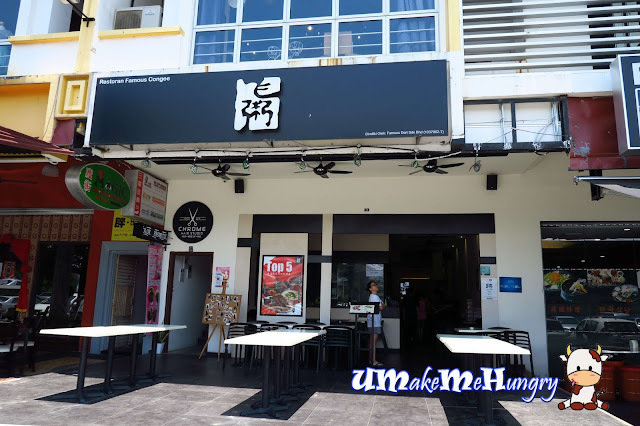 It is just a stone throw away from the popular Sutera Mall that most of us has been visiting. 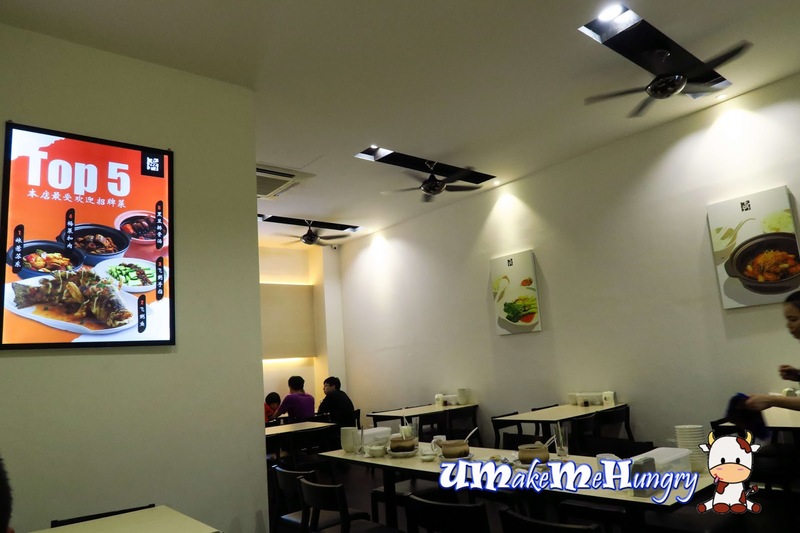 Interior was modern with recommended and signature dishes pictures on the wall. Premises is air-conditioned and fixed with ceiling fans to cool the temperature in the restaurant. We started with some sides while waiting for the porridge and rice. Abalone mushrooms were deep fried and with its spicy soury dipped, I found that this is something special and not yet found in Singapore so far. 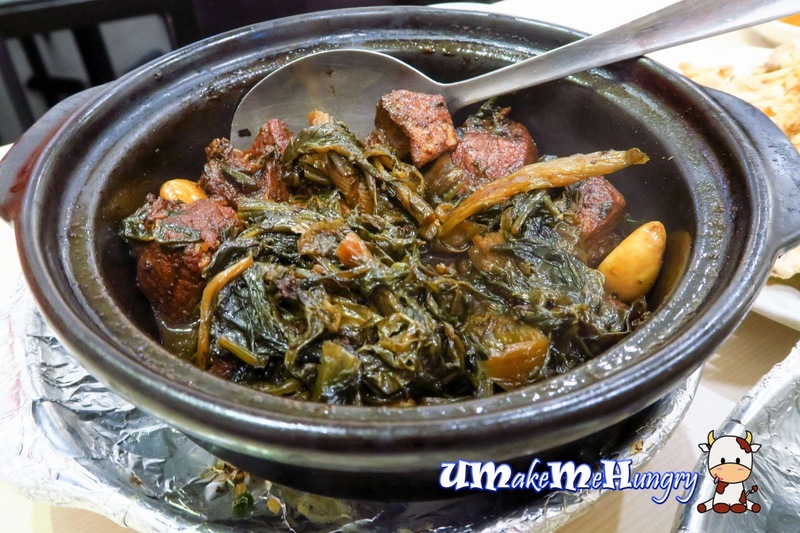 Dont miss out famous dish like the Braised Pork with Preserved Vegetables to complement with your porridge dishes. The pork were braised till tender together with garlic gloves and preserved vegetables. 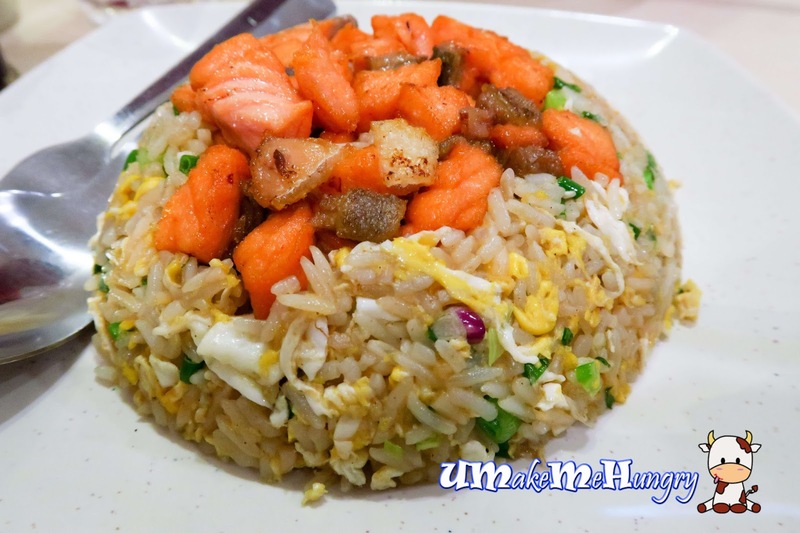 With hints of peppery taste among the fragrant fried rice, these air flown salmon was cut into dices and topped the rice. Impressed by the bright orange presentation among the white, yellow and green ingredients in the rice, the taste was relatively above average. A little peeve is that the Salmon may be more on the fishy side. Every pot of congee is served in the earthen claypot with a base wrapped with aluminium. 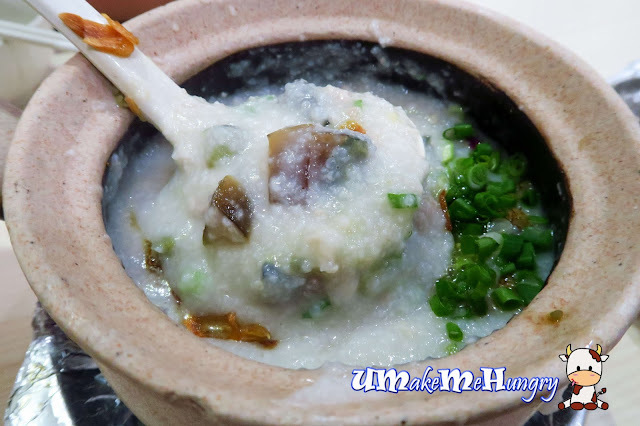 The congee's depth of flavour come from the long hours of cooking the broth and rice grains were slowly cook to the texture. To enhance the flavours, spring onions as well as fried onions were added. Mix the garnishing well. The pot of minced pork & century Egg Congee was savoury with generous amount of Minced pork and egg given. My bowl of congee won't be completed without these little fried fritters in it. If you are like me, mixed some of these into the porridge and enjoy the bites. 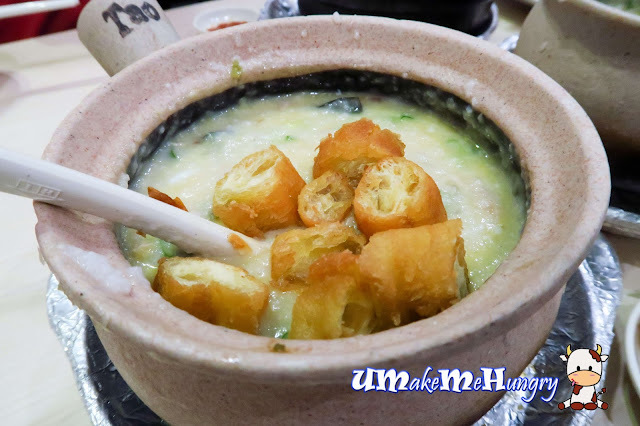 Break the egg yolk and stir the fried fritters into the porridge. It was a pleasant experience to have enjoy pots of porridge and kinds of dishes by Fei Zhou. I don't mind popping by once in a while for simple food like this.